2014 has been a challenging year for many people up until this point, with all the retrograde planets, the eclipses and the Grand Cardinal Cross (that is still present for quite a while, but not as direct as last week), sometimes it is hard to Breathe! However, I feel confident that all of this energy is about to shift. I believe with the coming of this solar eclipse on April 29th, with Mars going direct May 20th, things will ease up. Our major learning has been around our deepest core fears and where we intend to evolve as a planet and as individuals. Where we want to move next! What we want to focus our intentions on for the next major period of our lives. What I have noticed is that people have been so preoccupied with what has been happening within and around them that they haven’t been clear enough to breathe! We are not grounded and not conscious of what is truly important at this time, which is to focus on what we truly desire most right now. So this article is about what would assist us most, just breathe. What I have realized, is that my health has been interfering with my ability to enjoy life. It’s becoming very clear to me that regaining my health must become the top priority before I can focus on the other areas in my life. Ironically, the other areas of my life are being taken care of which creates some space for me to prepare myself to focus on my health. For me, just breathing is coming to a place of acceptance and awareness that it is critical for me to be pain free and having enough energy to get up and enjoy the day. 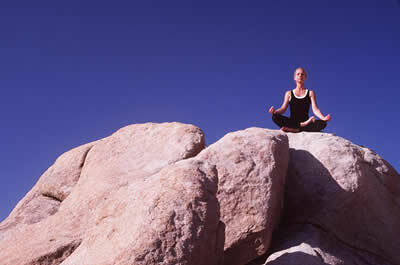 Meditation, diet and exercise are critical to my overall well-being. Certain food triggers pain and dis-ease, even if it distracts me from emotional pain or boredom that I have been using to self-medicate or to enjoy something in my life. On the road to self-recovery or self-maintenance, there are certain things we need to be conscious of. Are we grounded? Is the only energy that is interfering with us our own and where is our focus of intention? I can’t tell you how important it is to be grounded. If we aren’t grounded, we aren’t present. If we aren’t present we aren’t centered and connected to our inner being. Therefore we can’t be conscious of where we are or where we are going, or the opposite, where we aren’t and where we aren’t going. This also flows into being aware of all the things that are affecting our energy. Life is hard enough with all of our own triggers, but for those of us who are empathic, nurturers and healers, we tend to have a lot more in our energies, that are interfering or mingling in our energetic field, than just our own. So, take some time to clear your energy and set up healthy boundaries with your friends, family and colleagues, instead of being a conduit for their energy. This can often be done quite easily by just meditating and requesting that all energy but your own be present and releasing all others. There are plenty of meditations that assist with clearing your energy. This can often be a life saver. Lastly, be aware of what it is you truly desire. Prior to having a host of different health concerns, my focus had been on who I wanted to portray to this world. What I focused on was what I could do to support me. Once my body began to break down from the stress and betrayal I had experienced in the past few years, my focus shifted away from worrying about basic survival needs. Letting go of controlling this aspect of my life enabled me to just be. Also, as my dear friend Jean Adrienne reminded me, we keep forgetting that we aren’t the source of the problem or the source of the solution. We have to surrender and let our inner and outer source take the driver’s seat! The only thing we need to be aware of is what our intention is at any given moment. Instead of worrying about all the details and planning for our life, we just need to set our intention on what is important and then have faith in the unfolding of our intentions for each situation, crisis, relationship and for each and every day. We need to feel safe and stop trying to control what is happening, just know it is exactly how it is meant to be. Let your intentions guide you in creating and living the life you love! I hope that this assists you take a moment during these stressful times and Just Breathe! This entry was posted in Blog and tagged consciousness, Intention, Intuitive Soul, Laurie Huston, spiritual coach, Spiritual Radio. Bookmark the permalink.